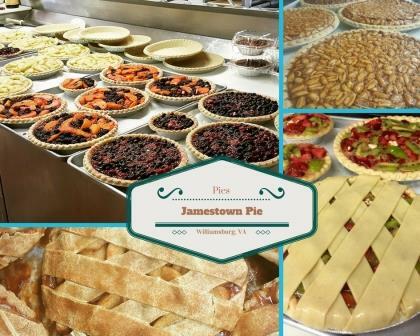 Founded in 2004, The Jamestown Pie Company has been a local favorite in Williamsburg for years. Gourmet Pizza, Pot Pie, Dessert Pie and Sandwiches are the major specialties of their business located on Jamestown Road. If you catch them at the right time of day you just might get to sample their “World Famous” Pecan Pie.